Fares Noujaim (Arabic: فارس نجيم) joined Guggenheim Partners in September 2014. 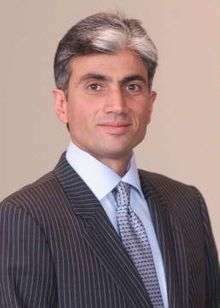 Previously, Noujaim was Executive Vice Chairman of Global Corporate & Investment Banking at Bank of America Merrill Lynch. Noujaim was also a member of the Global Corporate & Investment Banking Leadership team and had served as Global Head of Sovereign Wealth Funds, after previously serving as President of Merrill Lynch Middle East & North Africa. Prior to joining Merrill Lynch in June 2008, Noujaim was Vice Chairman of the Board of Directors of Bear, Stearns & Co. Inc. and was a member of Bear Stearns’ President’s Advisory Committee, having previously served as the committee’s chairman. While at Bear Stearns, Noujaim led banking teams providing capital markets and strategic advisory services to key domestic and international investment banking clients, including a broad range of global corporate enterprises and sovereign governments. He was Global Head of the firm’s Capital Markets Group from 1992 to 1997. In 2008, he was appointed as the president for Merrill Lynch's Middle East and North Africa subsidiary, a position that was created specifically for him. Over the course of his career, Noujaim has advised on announced M&A transactions valued at approximately $735 billion and has facilitated financings totaling in excess of $1 trillion. Noujaim began his career with Goldman Sachs in 1985 and has served on the Board of International College as well as The National Council of Economic Education. He has three children and studied at Pace University. ↑ Wall Street Journal. Merrill Vet is Promoted by BofA. June 11, 2009. ↑ "A Bear Stearns Refugee Gets a New Start at Merrill", The New York Times, 2 June 2008. Accessed 4 November 2015. ↑ Merrill Lynch Press Release. June 2, 2008. ↑ Thomas Jr., Landon. "The New Color of Money", New York Magazine. Accessed 12 August 2015.